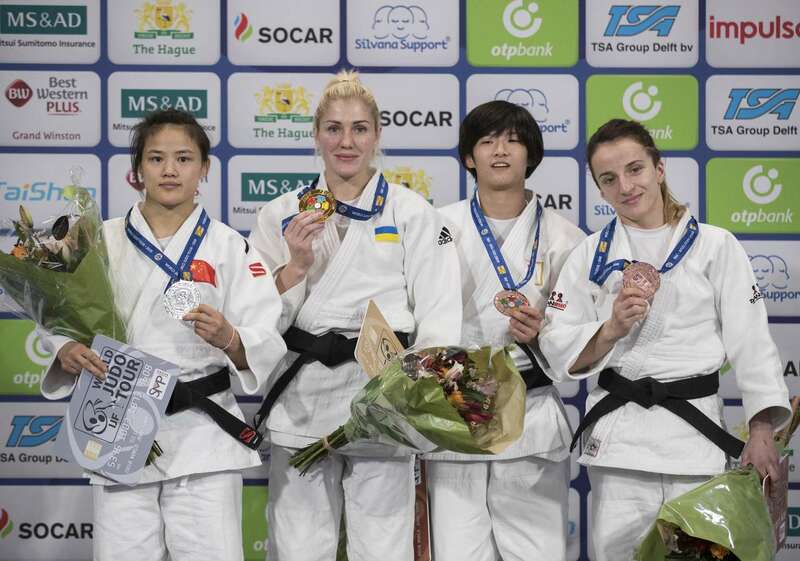 European Championships bronze medallist Maryna CHERNIAK (UKR) won her second Grand Prix title with victory over World Championships participant XIONG Yao (CHN) in the -48kg final. XIONG, who finished fifth at the Asian Games and seventh at the Tokyo Grand Slam last year, opened the scoring by rolling over her Ukrainian opponent who had failed with a uchi-mata attempt for a waza-ari score. CHERNIAK defeated her fellow finalist by ippon after 90 seconds with a ko-soto to strike first for Ukraine in The Hague. CHERNIAK has shown that her country has two world-class judoka in the sport’s lightest weight category as Daria BILODID (UKR), the youngest world champion of all time, who is currently training in Japan, has a domestic colleague who herself knows how to star on the IJF World Judo Tour. In the first semi-final Abu Dhabi Grand Slam bronze medallist LI Yanan (CHN) picked up her third shido for passivity which sent CHERNIAK into the gold medal contest. In the second semi-final XIONG threw IJF World Judo Tour debutant SAKAGAMI Aya (JPN) with an ippon-seoi-nage for her second and match-winning waza-ari score. The first bronze medal contest was won by 21-year-old Kodokan Cup bronze medallist SAKAGAMI who held down 2017 Ekaterinburg Grand Slam silver medallist Sabina GILIAZOVA (RUS) with a yoko-shiho-gatame. SAKAGAMI got an unfamiliar looking Japanese team off to a strong start as the youthful squad have been drafted in this week for the Netherlands but are some way down the pecking order domestically and will be watching from the stands in Osaka next week. The second bronze medal was won by Tashkent Grand Prix winner Distria KRASNIQI (KOS) who dispatched LI after just 19 seconds. 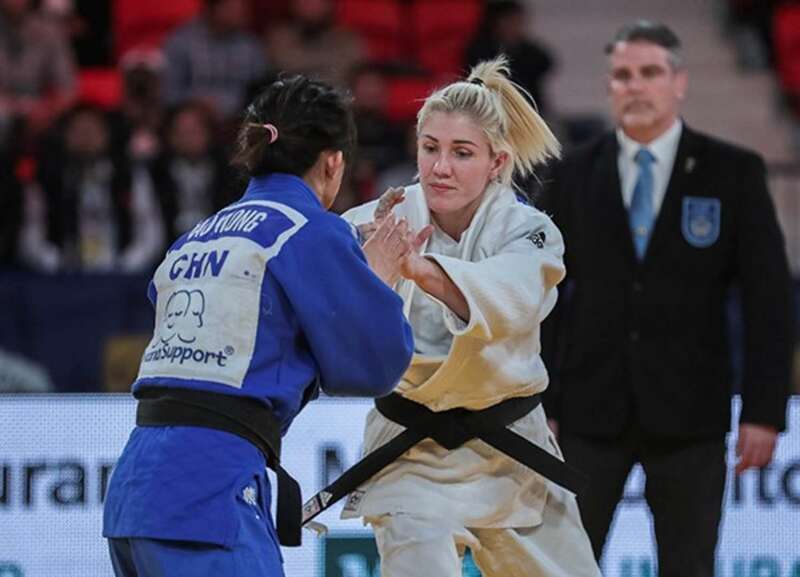 The in-form Kosovo judoka won with a spectacular sasae-tsurikomi-ashi for the maximum score to win her third consecutive medal on the IJF World Judo Tour. London 2012 Olympic bronze medallist Charline VAN SNICK (BEL) won her eighth Grand Prix gold medal with a clinical performance against former Zagreb Grand Prix winner Eleudis VALENTIM (BRA). The Belgian pounced on an opportunity to employ her well-drilled shime-waza and defeated VALENTIM by submission from a koshi-jime strangle. VAN SNICK has now medalled at five consecutive competitions and looks on course for an Olympic challenge in 2020 while VALENTIM grasped her first opportunity since -52kg colleague and five-time world medallist Erika MIRANDA (BRA) announced her retirement. In the first semi-final VAN SNICK, who armlocked Olympic silver medallist and Abu Dhabi Grand Slam winner Odette GIUFFRIDA (ITA) in the quarter-final, prevailed against former Tashkent Grand Prix winner Betina TEMELKOVA (ISR) who received a direct hansoku-make in golden score for slamming her opponent after the two were tangled in the air. In the second semi-final Paris Grand Slam bronze medallist Astride GNETO (FRA) was penalised for a third time in golden score for passivity and was disqualified which sent VALENTIM into the final. The first bronze medal was awarded to GNETO who saw off GIUFFRIDA after five minutes and fifteen seconds of golden score. 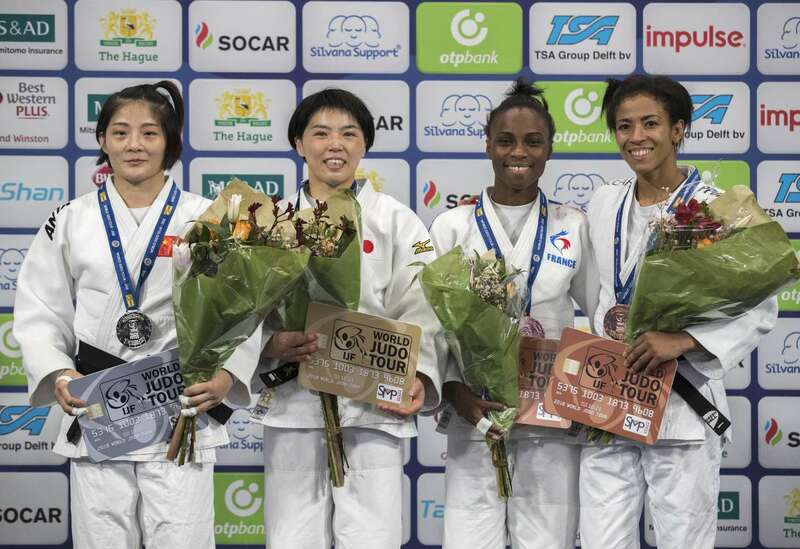 The French judoka won her first Grand Prix medal by throwing with an o-soto-gari for a waza-ari. The second bronze medal was won by Antalya Grand Prix bronze medallist PUPP Reka (HUN) as TEMELKOVA had been disqualified earlier in the competition after a direct hansoku-make. 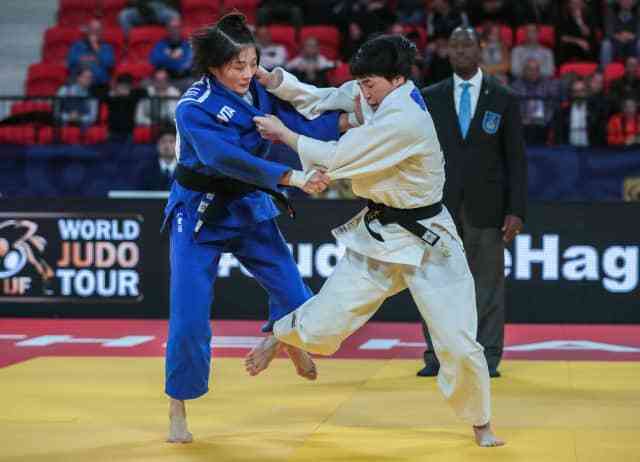 IJF World Judo Tour debutant OTSUJI Terumi (JPN) starred for Japan with a win over 2016 Baku Grand Slam bronze medallist LU Tongjuan (CHN) in the -57kg final. World number 54 LU produced a career-best result while OTSUJI was the last woman standing in her first IJF outing. The Japanese judoka, who was eliminated in the opening round of the Kodokan Cup - Japan’s selection event for the Osaka Grand Slam, two weeks ago - threw with a koshi-guruma for a waza-ari and held down her rival with a kesa-gatame to seal a comfortable win. In the first semi-final Cancun Grand Prix bronze medallist Miryam ROPER (PAN) was beaten by OTSUJI by ippon. In the second semi-final former Tashkent Grand Prix gold medallist Anna BOROWSKA (POL) was thrown after two minutes of golden score by LU for ippon. The first bronze medal was won by Abu Dhabi Grand Slam bronze medallist Priscilla GNETO (FRA) who threw BOROWSKA with sutemi-waza for a waza-ari score with 25 seconds left on the clock. GNETO kept control for the closing seconds to join her younger sister Astride as a bronze medallist on day one. 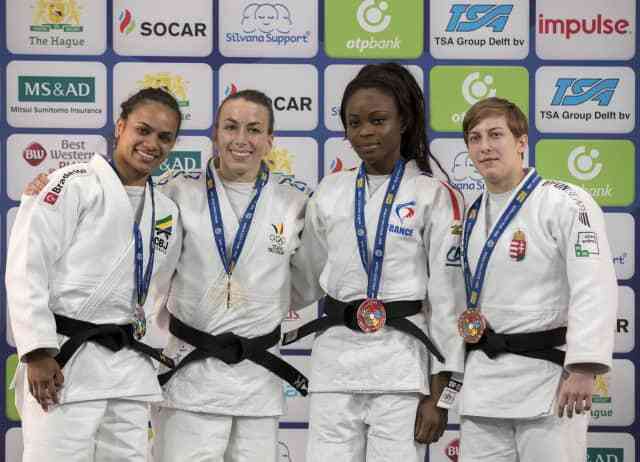 The second bronze medal was won by ROPER who edged out 2017 Junior World Championships bronze medallist Mina LIBEER (BEL). World number 13 ROPER scored a waza-ari from a sumi-gaeshi to earn her fifth Grand Prix medal for Panama having only switched from Germany in 2017. 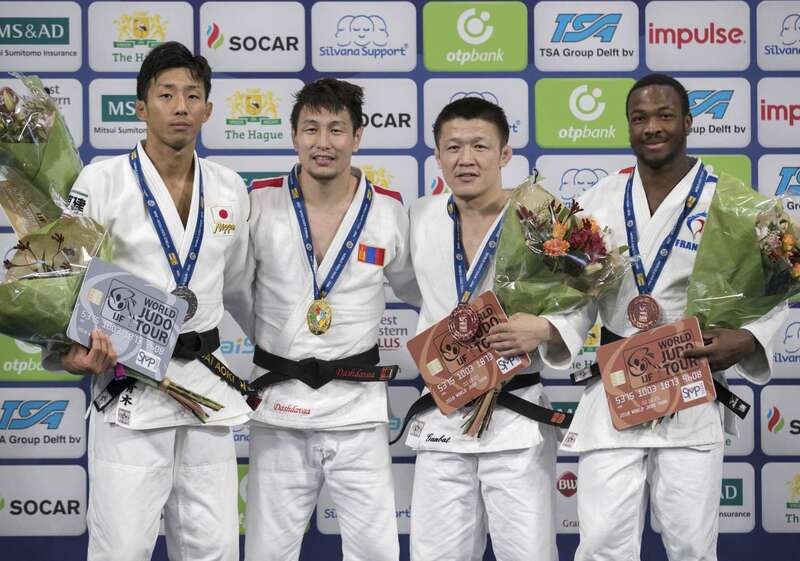 Tokyo Grand Slam silver medallist DASHDAVAA Amartuvshin (MGL) won his sixth Grand Prix title in the first men’s final in The Hague. The former world silver medallist won his seventeenth Grand Prix medal which puts him joint third on the all-time list with Natalie POWELL (GBR). DASHDAVAA defeated 2016 Budapest Grand Prix winner AOKI Dai (JPN) in the gold medal contest after five minutes of golden score. AOKI, who fought for a medal at the 2015 Tokyo Grand Slam, entangled his leg and held it there to block the Mongolian and picked up his third shido to receive hansoku-make. In the first semi-final world number 53 Artem LESYUK (UKR) fell to AOKI who tapped out the Ukrainian from a tate-shiho-gatame hold for ippon. In the second semi-final DASHDAVAA defeated former world champion GANBAT Boldbaatar (MGL) who received his marching orders after receiving a third shido for passivity. The first bronze medal was won by GANBAT who caught London 2012 Olympic bronze medallist Felipe KITADAI (BRA) with ashi-waza for a waza-ari score and then changed his tactics to hold off the Brazilian judoka for the remaining time. There was no way through for KITADAI as Mongolia were guaranteed to win half of the -60kg medals on day one. The second bronze medal went to IJF World Judo Tour newcomer Romaric Wend-Yam BOUDA (FRA) who flew past LESYUK inside 34 seconds. 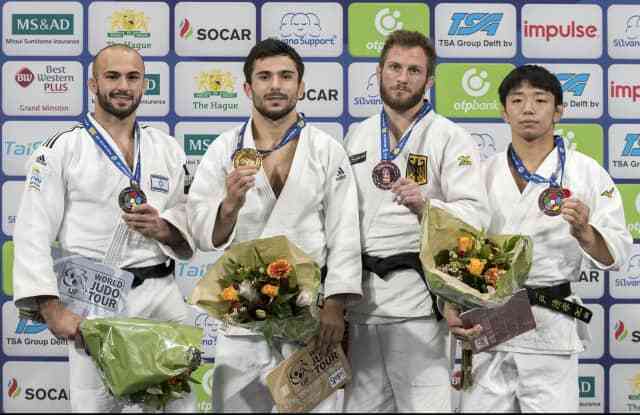 The 21-year-old Frenchman scored a waza-ari with a o-soto-gari and then countered his overwhelmed opponent for ippon. 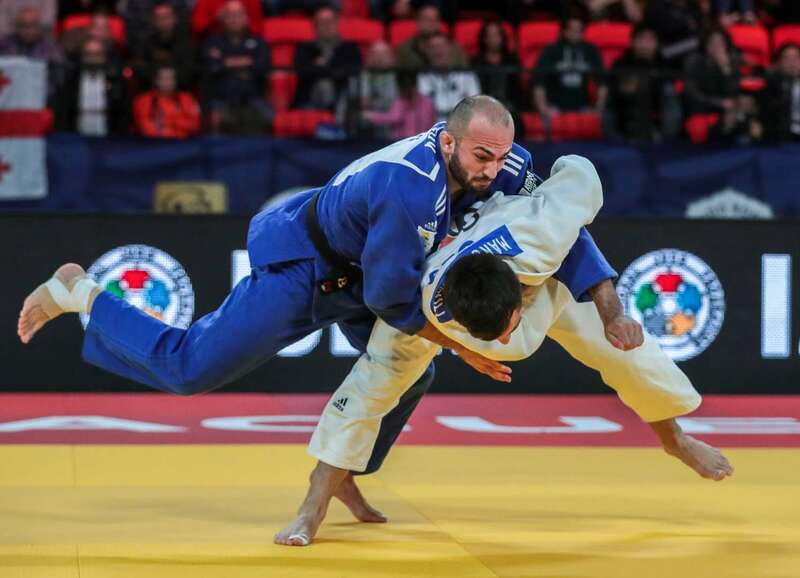 Abu Dhabi Grand Slam gold medallist Vazha MARGVELASHVILI (GEO) clinched his fourth Grand Prix title with a hard-fought win over Abu Dhabi Grand Slam bronze medallist Baruch SHMAILOV (ISR). The world number two defeated the world number five by a waza-ari score from a uchi-mata-sukashi as the Georgian was unbeatable in The Hague just as he was in Abu Dhabi a fortnight ago. In the first semi-final MARGVELASHVILI who launched Budapest Grand Prix bronze medallist Denis VIERU (MDA) with a sasae-tsurikomi-ashi for one of the best ippons of the day. 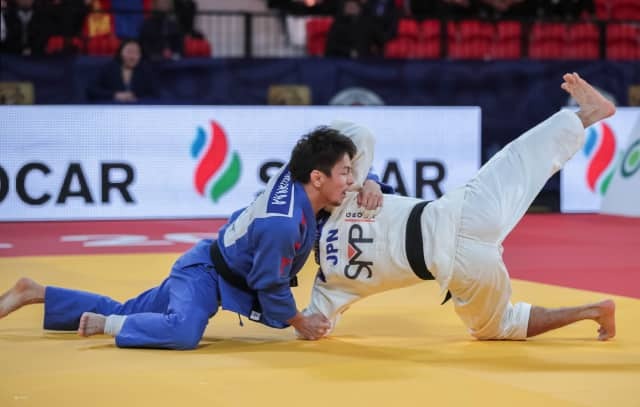 In the second semi-final nine-time Grand Prix medallist DOVDON Altansukh (MGL) felt the full force of SHMAILOV who saw off his Mongolian opponent with a thunderous o-soto-gari for ippon. The first bronze medal was won by Paris Grand Slam bronze medallist Sebastian SEIDL (GER) who emerged triumphant after a 10-minute bout against DOVDON. After a stalemate in regulation time the Mongolian tried a ura-nage but it collapsed with SEIDL on top and the grateful German applied a tate-shiho-gatame but DOVDON slipped out. After six minutes and 21 seconds of added time, SEIDL was declared the winner after his opponent was reprimanded with a third shido for pushing his opponent out of the contest area. The second bronze medal went to IJF rookie KIDO Kiyotaka (JPN) who beat VIERU by two scores to leave his first IJF World Judo Tour competition with hardware in The Hague. KIDO, who led by a waza-ari, wrapped up his win with a explosive ippon-seoi-nage to inflate his country’s medal tally on day one.